A lot of guitar owners read waaaaay too much into serial numbers, as though all they need is to find someone with the Magic Decoder Ring who can speak to the spirits & discern all sorts of secret lore & stuff about their one particular instrument. A serial number is NOT like a vehicle identification number, which often CAN tell you a lot about the vehicle it's attached to. I work in an industrial setting, & not for the first time in 40+ years of employment, so I know somewhat about manufacturing. And maybe it's irony, but I learned a little about the uselessness of serial numbers from looking into the history of Lyon & Healy, makers of the original Washburns. for quality control purposes, so that if something goes horribly wrong with an instrument, the problem can quickly be tracked back to where the failure began. for subsequent damage control, so that other instruments produced with the same failed techniques &/or materials can be collected for closer inspection. to track output for a given worker, line, team, run, &/or plant. to ensure that a contract manufacturer isn't selling your items "out the back door" or misappropriating components (like roughed-in neck assemblies). Let's say I've got two main products, maybe electric guitars -- call 'em the Bratocaster & the Helecaster. They look entirely different, even to someone who knows nothing about guitars. Therefore, anyone who finds a fault with Bratocaster #437 & places the blame on whoever made Helecaster #437 is gonna get fired for excessive stupidity. And maybe I've got a small line of high-end fancy-schmancy Bratocasters -- again, nobody with two IQ points to rub together would mistake one for a main-line Bratocaster, & there's no reason not to also have a Bratocaster Superbo with s/n 437. We also make a bass guitar. Guess what -- another #437 soon exists. I get bored easily, so let's say that I sit down with my design team every 18 months & tweak stuff: headstock shape, inlays, pickguard, finish, & so on. My workers enjoy this & adapt readily; even the newest hires can recognize which "era" an older guitar came from -- it's a little more arcane than discerning a Helecaster from a Bratocaster, but (as the saying goes) it AIN'T rocket science. And logically enough, I "close the books" on the previous version... & soon enough there's more guitars stamped 437. We decide to produce an inexpensive line of Helecasters at a factory in Iceland. There are minor but distinct differences with our domestic version. Rather than put the serial number on a decal, the import's number is stamped into the headstock before the finish is applied. Sure enough: here comes #437. Consider the Fender serial number "system." Leo Fender was quirky, but meticulous, yet even he didn't have much of a system. He hand-built PA amplifiers in the late 1930s & started making electrified lapsteels in 1945 but the earliest known serial numbers arrived with the Esquire/Tele in 1950... sometimes with a three- AND a four-digit system being used at the same time. Really, there's no Magic Decoder Ring gonna find secret wisdom in THAT. It wasn't until halfway through 1954 that the Fender numbering system stabilized, AND it was "universal" meaning that the same numeric sequence was applied to ALL Fender instruments. (Even then there are apparent inconsistencies.>0) This was used to 1963. It ran to about 99999, beginning at 0001 -- rather _0001. In attempting to add another digit in 1963, someone used an "L" instead of a "1"; rather than having to go back & fix a bunch of errors, Fender chose to run with it & produced L-prefix numbers throuhg 1965. Under new ownership, Fender went the next decade with a system that ran from 100000 to 750000. Notice: these are all serial numbers -- no Hidden Wisdom at all. Twenty-five years & more than a half-million instruments. Mid-1976, Fender introduced a new scheme, where the first character -- a capital letter -- actually DID indicate decade & the next digit the year. The letters are S ('70s), E ('80s), N ('90s), & Z ('00s). This was replaced in 2010 with a "US" prefix followed by a two-digit year code. The single-letter system, though, remains in use with the Mexico-made guitars, where Z was followed by X ('10s), so a guitar made there today would begin with MX6-. All of that is hunky-dory... except, again, THERE IS NO SECRET CODE. Most guitar owners who want the Real Truth about their instrument will have no idea who Zach Fjestad is, which explains a lot. Fjestad writes a column for Premier Guitar, which is THE magazine/site for people who care about gear old & new. 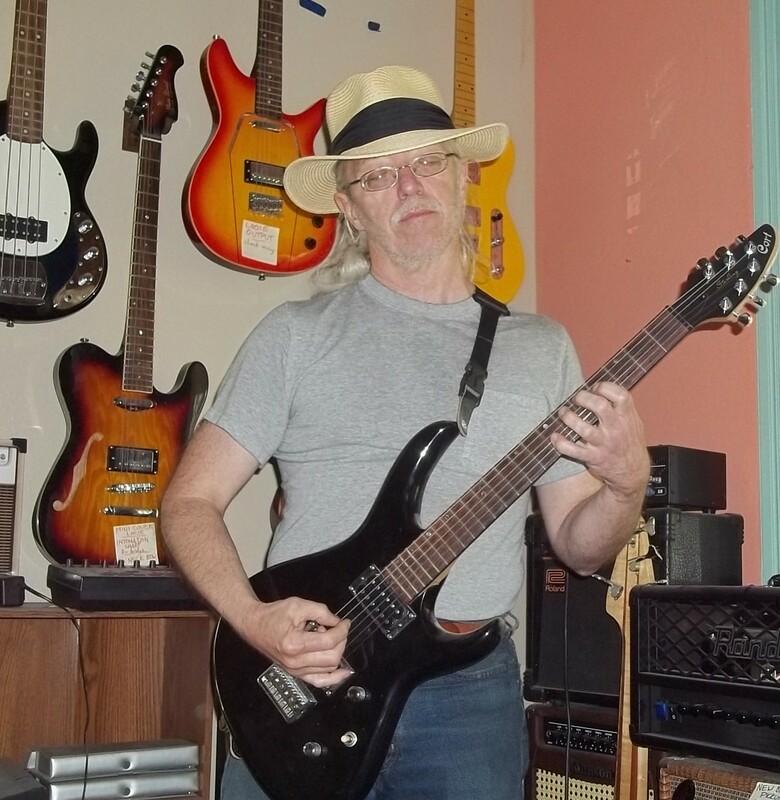 Fjestad is also the obsessive guy behind the Blue Book of Guitar Values books & website, which has for years been THE place to begin researching instruments. A few weeks ago, Fjestad responded to a reader with a Fender Stratocaster, serial number MN6xxxxx, & asked if he could determine which model it is. I discovered this the hard way with Squier, the Fender sub-brand. There might be three or four or even more "series" of guitars being made at any given moment. Presently, Squier has the Classic Vibe, Vintage Modified, Deluxe, Standard, Affinity, & Bullet serieses. Fortunately, most are made by different contractors in various nations, so they have their own numbering systems. But all California-made guitars use ONE serial numbering system between them... as do the Mexico guitars. That MN6 guitar, sight unseen -- think of how many people show up here with a serial number & no photos, right? -- might have been a Traditional, a Standard, a Tex-Mex, or a Richie Sambora Signature; that's hundreds of dollars in difference (not to mention the quality swing) yet the numbers are all sorta mashed together. Fjestad figures it out by color, hardware, & deduction. In recent years, Washburn has had the decency -- well, more than half the time, anyway -- clearly attach a guitar's model number somewhere. This isn't perfect, of course: a few years ago I saw someone selling a "BT-9" that was clearly a BT-2 with a trussrod cover they'd found somewhere. The chances of identifying a guitar from its serial number are... well, about zero. You'll have to give us some minimal crumbs of info, like photo(s) or what it's a clone of. I have a few examples within reach. The Washburn numbering system has got somewhat better since the 1980s, but only somewhat. Notice the Mavericks; these were made 1995-2000, yet "common wisdom" says the first two digits are year... which would make 'em either of 1918 or 2018 manufacture. The "backup plan" is that the FIRST digit represents year... um, dudes, meaning what, 1991 or 2001? Four dates, & anyone who wants to BELIEVE in the Secret Wisdom should tell me which ONE is correct. That's barely 20 years ago, yet not at all useful beyond being a serial number. In short, I have reason to believe that the "system" is at best unreliable & at worst a pile of random garbage. The current standard -- since at least 2002 in my list -- does appear to be one or two letters followed by eight numerics. For the last four on the list, the year is likely as you'd expect. I've heard that the next two numerics are supposed to represent the month. However, I've heard of examples where those digits were "00" or "27" so I'm not sure I'd take it at face value -- after all, I work in a place that has a 50-week production year, & two digits would make it easy to map this. Industrially speaking, production is much easier to track consistently by the week (seven days, period) rather than month (30 or 31 days except when it's 28 or sometimes 29). And common wisdom says that the final four digits represent the instrument's actual place in the period defined by the previous digits. That's probably correct but... well, so what? There's no reason to think my X-33 was part of a run of black X-33s -- that number merely happens to be what was waiting in the hopper when someone decided the guitar was completed. It might have been mixed in with various WI-64, X-40, HB-35, & T-24. We don't even have a list of the factories indicated by the prefixes. Until someone "in a position to know" blesses these Forums with those details, anyone who expects details about their instrument should... well, do their own research. Nothing worth having is free. Customer Support is 1-800-877-6863. The main site has a whole bunch of archived catalogues & pricelists. Much info is available online at no cost from Blue Book. A Reverb.com account (no cost) gets access to values; an eBay account gets access to listings of stuff sold in the past two months. Most likely, it had its s/n on a paper tag, either between the tuners or down at the neck heel. My BT-3 has its number typed ( ) on a narrow white strip of paper that's stuck to the back of the headstock. FWIW, the XB-100 was 1996-2004. If it's anything other than Gloss Black, the color narrows it down a little. Users of the serial numbers will get lots of enjoyment with take help from here that is very nice option. People buy written papers from superiorpapers com here on required topics and get best writing helps in easy way.